Is it Possible to Work From Home? Are you interested in working from home, but don’t know how to get started? The online business world can be intimidating to say the least. There is just no quick and easy way to make money out there, but if you are willing to learn and put in the work, you can succeed with an online business. Below, I have listed a couple of stay at home work opportunities. What Kind of Online Business Can I Start? Are you wondering how to start an internet business with a website? Do you have a creativity that you could use to make a product that can be sold online? Do you enjoy buying used items and re-selling them for a profit? If so, then you could start an online business through Ebay or Amazon. Selling on Ebay is extremely easy and I’ve been doing it on a small-time basis for years. You basically just set up an account and go to the selling area, list your item, post pictures if you have them, click preview to check your ad, and Voila! You have a listing. 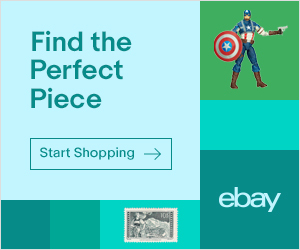 Ebay even has shipping rates for you so you’ll know how much to charge for sending your items out, and you can even print labels through them. Amazon also has a program to sell through called Amazon Seller Central where you can add your products to the Amazon catalog and they market them for you. 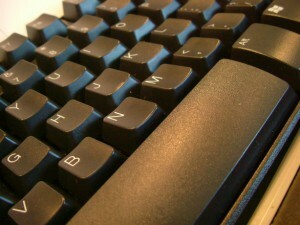 Maybe you would really like to write a blog, but don’t know how to get started. Maybe you’re a creative type of person and you know you could make a beautiful website with lots of eye candy, but you need help with content. Perhaps you already have a business and you want a website, but don’t want to pay hundreds or thousands of dollars to hire someone. Or, maybe you are none of these, but you want alternate or additional income and you are willing to work toward and learn how to create your own online business. There are so many stay at home job opportunities just waiting for you, and all you need to do is to take that next step. How about someone who likes to write about traveling, or collectibles, or clothing for plus-size ladies? 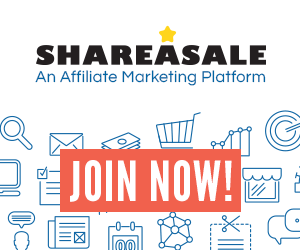 All of these things can be used to start an online business if you are ready to learn about affiliate marketing. Just to give you an example of what I’ve done, here is a link to my website BaseballMomStuff.com. I have two kids who play baseball and I have some knowledge about what products and info that baseball parents like. If you go to my BaseballMomStuff website, you will see that I have advertisements incorporated into the pages. And that’s how you make money. Referring people to your affiliate links based on articles, reviews, or recommendations that you have written. So now, you may be asking: How can I learn how to build a website? I would describe Wealthy Affiliate as an Internet Marketing Educational Community, with a wealth of information, support, and training that you won’t find anywhere else. Wealthy Affiliate is basically an online college with real-world training and lots of tutors to help you along your journey. And the best thing about it is that it’s FREE to try it with NO obligation. Founded in 2005 by Owners Kyle & Carson, Wealthy Affiliate is an Online Marketing Leader and Business Training Platform, that has successfully linked with Hundreds of Thousands of Members and Businesses over the years. With step-by-step training via Tutorials, Videos and Internet Certification Courses, it provides everything needed to develop a Successful Online Business. This training can show you that there are real at home work opportunities. If you have any questions on how to get started, please leave me a comment below. 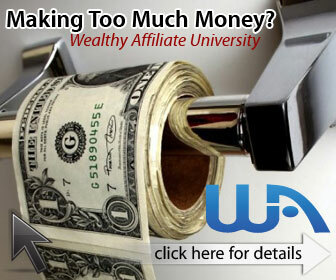 Next Post:Is Wealthy Affiliate A Scam? Doing anything online can be really intimidating and scary. You’ve given me some things to think about and look at so I can be on my way toward being successful. I realize that it’s an ongoing process, but I’m willing to put in the work! Thanks for the advice. The online world can be scary to most people, but the opportunities are unlimited. Being able to be your own boss and working from home or any place with your computer will be a blessing for most people. I appreciate how you emphasize that this requires hard work and ongoing commitment, there is no such thing as creating a good income without working hard. Thank you. I know from experience, that it’s possible to build your own online business and work from home. I like the fact that you tell people that it will take hard work. There seems some misconception that making money online is easy, probably due to all the scams that promise easy money. I think getting some step by step training with good support is the best way to start. The training will help you to build your business in the correct way and the support will help through those moments of doubt or guide you when you have a question. If you asked me 10 years ago, I wouldn’t agree that working from home is an ideal career. For me, that was unambitious, anti-social and unreliable. Fast forward to now, I have seen how people actually build businesses from home and live a comfortable life as a result of that. And to be honest, I actually envy that because the rat-race workplace isn’t really that great either. I never imagined that I would pursue a career from home but this has been my main focus for the past two years. With the training at Wealthy Affiliate, I could feel that I am getting closer to my goals each day. I have tried my hand at making money online before and I have to say I was not very successful. I have been somewhat wet behind the ears when it comes to applying what is needed, not to mention the scams I have been hit with to knock my confidence. I see you mention this wealthy affiliate as a source of information, can you offer me some more information on this please? Anyway I have just joined WA, and I totally agree with you. WA is definitely one of the best if not THE best internet marketing community. The courses they offer, the tools they provide, the most friendly community I have ever seen! It is a whole package! Keep up the good work! You are stopping hard working people from getting scammed by get rich quick schemes and directing them to success! Working from home is a wonderful way to make money because you can do whatever you want to do. It is hard working searching for something that you enjoy doing and something that is real and not a scam. While there are authentic programs out there, Wealthy Affiliate is the best. I cannot believe that a company can offer what they offer. It’s free to join and if you’re willing to learn the training and do the work, it’s worth it. Find your passion and write about it with Wealthy Affiliate!